MTSU students bring stress man..
MTSU students seeking financial aid for the spring 2019 semester have a Friday, Oct. 19, deadline to apply for two substantial scholarships. The Murfreesboro chapter of the American Association of University Women is accepting applications for the Ruth Houston Memorial Undergraduate Scholarship and the Butler-Fouts Memorial Graduate Scholarship. Each scholarship is worth $1,000. Applicants for the Houston stipend must be nontraditional female undergraduate students age 24 and older who demonstrate academic promise and financial need and who have successfully completed their freshman year at MTSU. For the Butler-Fouts scholarship, applicants must be female graduate students from an underrepresented ethnic or racial group who demonstrate academic promise and financial needs. They also must be U.S. citizens or permanent residents currently enrolled in or accepted into a graduate program at MTSU. To apply for the Houston scholarship, go to www.mtfwg.org/ruth-houston. To apply for the Butler-Fouts scholarship, go to www.mtfwg.org/butler-fouts. Funding for the scholarships comes from the Middle Tennessee Fund for Women and Girls in partnership with AAUW Murfreesboro. 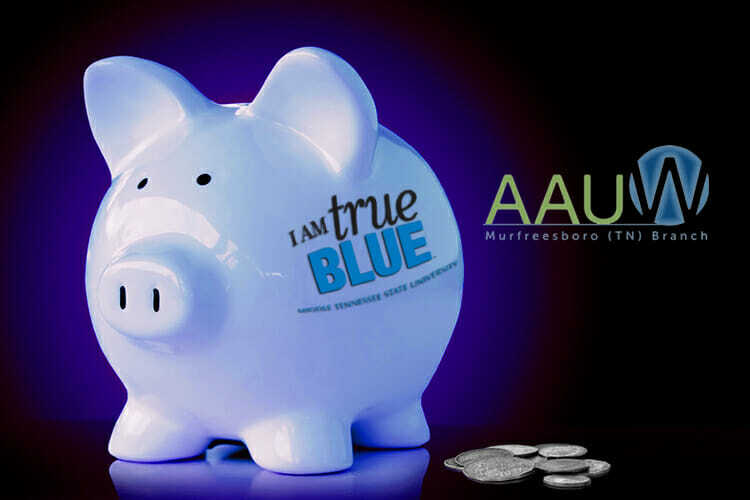 For more information, email scholarships@aauw-murfreesboro.org or visit www.aauw-murfreesboro.org and click on the “Education” tab. Click on the illustration for scholarship details; the application deadline is Friday, Oct. 19.